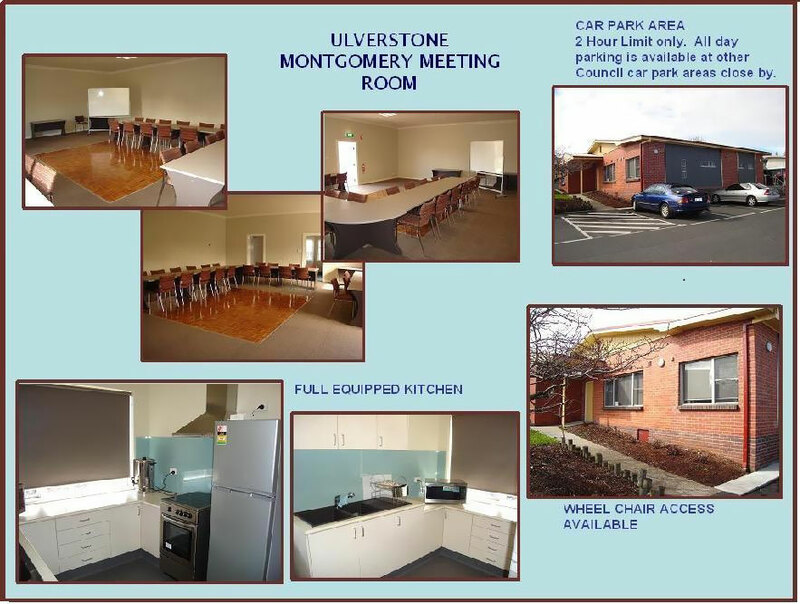 The Montgomery Room is a versatile small function area, ideal for meetings, training, workshops and small social functions and is situated in Carpark Lane, off King Edward Street, Ulverstone with wheelchair and pram access. The room has comfortable seating, board room style for up to 40 people and is equipped with a whiteboard, a kitchenette with fridge, stove, urn and microwave. Toilet facilities are also available with easy access within the room. Two hour car parking near the building is available. All day parking is available at the Ulverstone Wharf, Patrick Street adjacent to the Ulverstone Civic Centre, at the rear of the Central Coast Council Administration Centre in Victoria Street and in the Quadrant. All day parking is marked in red on the location map (see link further below).